Told through Shame’s point of view, the final installment of the Lights of Peril MC takes place on the ‘implied’ wedding day. Shame is plagued with doubts surrounding his love for Mace. He loves her. He’s loved her since she was five years old, but feels he doesn’t deserve her. This uncertainty is surfacing while struggling to forget the loss of his tragic childhood. Shame’s childhood wasn’t filled with happiness and love. It was heart wrenching, and abusive. Used by his father and resented by his mother, a young Neil struggles through his days waiting for an escape; a savior. Once meeting Doc, Lynda, Mace, Hem, and Sadey - his life changes from desolate to hopeful. Throughout the story you learn why Shame has become the person that he is. Intense, raw, powerful, and most of all – protective of those he loves the most. In the end he finds himself surrounded by everything he had ever hoped for. You thought you knew the entire story with books 1 and 2 of the Lights of Peril Series, but now we get to see the story through Shame’s eyes. We were given very little to go on in terms of a back story with Shame. We knew that he came from a neglected home and that he killed his father. Now we get to see just how terrible life was for Shame and how he was going through the daily steps needed in order to “live only to survive.” My heart broke for the little boy who at the age of 7 was forced to steal food in order to quench his starving stomach. His parents paid little attention to him, only using him when it would benefit them and their drug habits. The bright spot in his life occurred when he met Hem, Mace and their mother. This is what got him through the terrible pre-adolescent years. He was fed and nourished not only by food but by love with this family. Hem, Sadey, and Mace are all I want to remember from my childhood. They were what I considered my family. There was never anyone else. Before they came into my life, it was empty. Since I’ve been in her life, I’ve done nothing but add danger and heartache to it. If she marries me today, that’s all she will be promised going forward and that thought is what continues to haunt me. There may be a 12-year age difference between Mace and Shame, but that didn’t stop Shame from his feelings being morphed into something more than an overprotective brother. Years ago he knew that Mace was the one for him, but he didn’t know how to handle his feelings or how to push them back. All he knew is if he acted on them then their lives would forever be changed and he was not willing to live his life without Mace in it. As we know, Shame gets the girl. But we also know that Shame goes through a lot to get to the point where he can stand in front of others and proclaim his “I do.” Before that he has to have his heart broken and face the loss of his best friend. These chapters are back to back and whereas before I was having to blink hard to hold back any tears, now I just gave in and let them freely fall hoping that my pajama shirt neckline could keep up to the dam that broke. 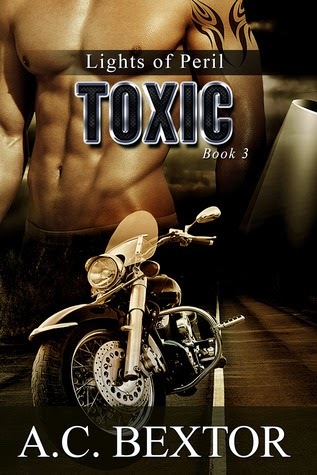 I have thoroughly enjoyed this series and I congratulate Ms. Bextor on writing a series that never wavered in her ability to hold the reader captive. Some sequels cannot stand up in comparison to its predecessor but I never felt like the story was losing its momentum or quality. I was never rushed through the storyline and each component of the plot was covered in its entirety. I do not know if the author will continue on with any of the secondary characters, but I feel complete with how the story has ended.